cooking with daddy, episode 002. My Dad and I were long overdue for a photo documented kitchen collaboration. 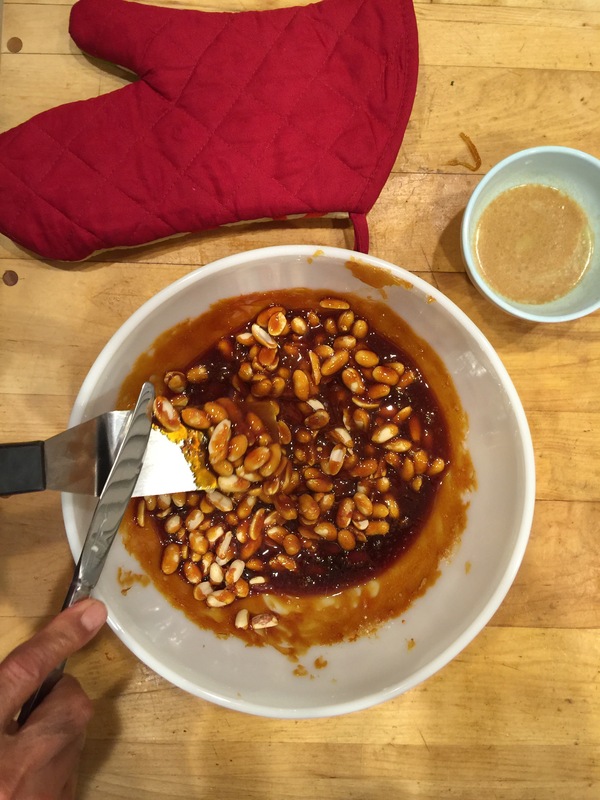 This Christmas he taught me his method of making peanut brittle: using the microwave! I was surprised, too. This was just like the time I found out you could use the microwave to make cake (mugs cakes for the win!). 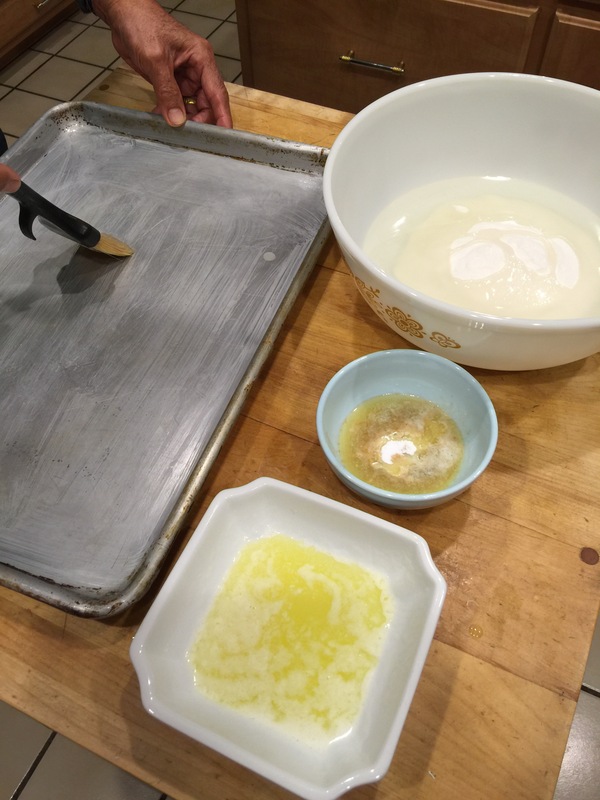 Grease the pan with melted butter. Heat your pan in the oven at 200F. This will prevent the brittle from solidifying too quickly when you pour the mixture onto the pan. 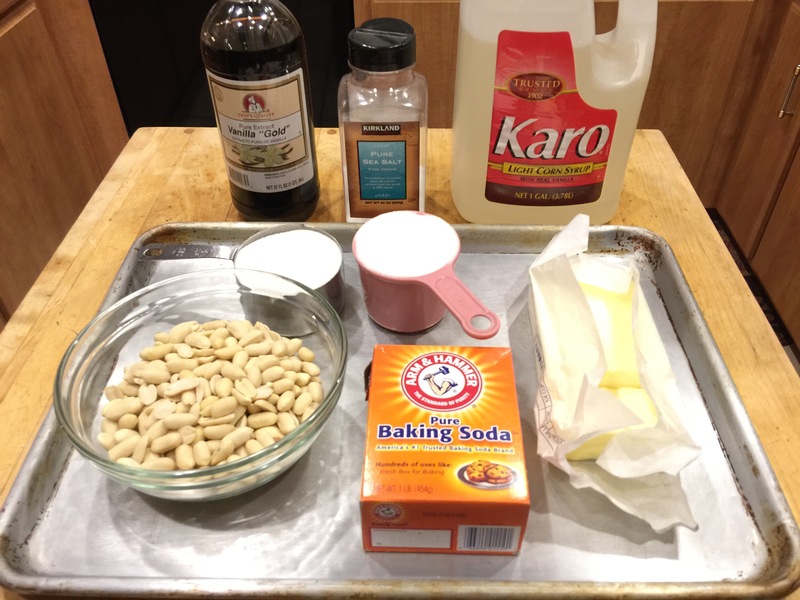 Mix together the vanilla, butter, and baking soda in one bowl. Set aside. In a large, microwave safe bowl, combine the sugar, salt and corn syrup. 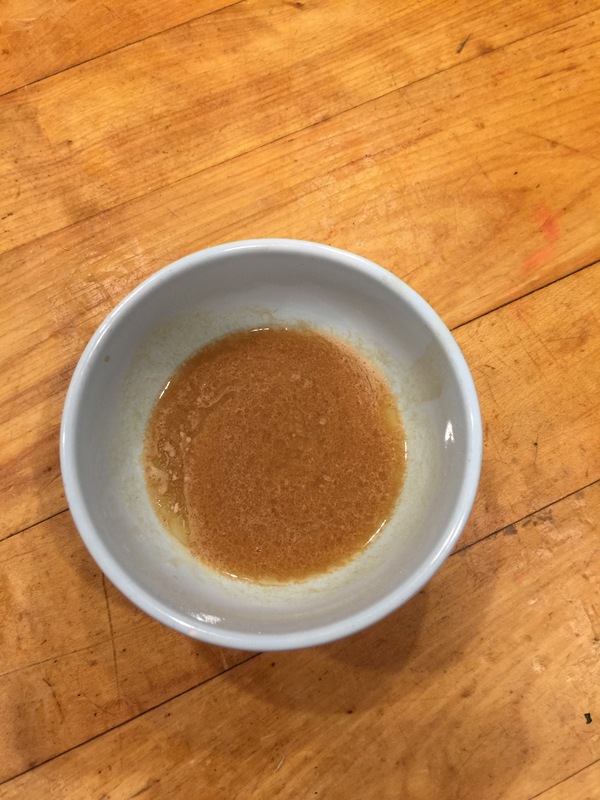 Mix ingredients together so that the sugar gets ‘wet’; do not over mix. Heat for 8-10 minutes in the microwave with a 1000 watt setting. Keep an eye on it. It will turn golden brown. 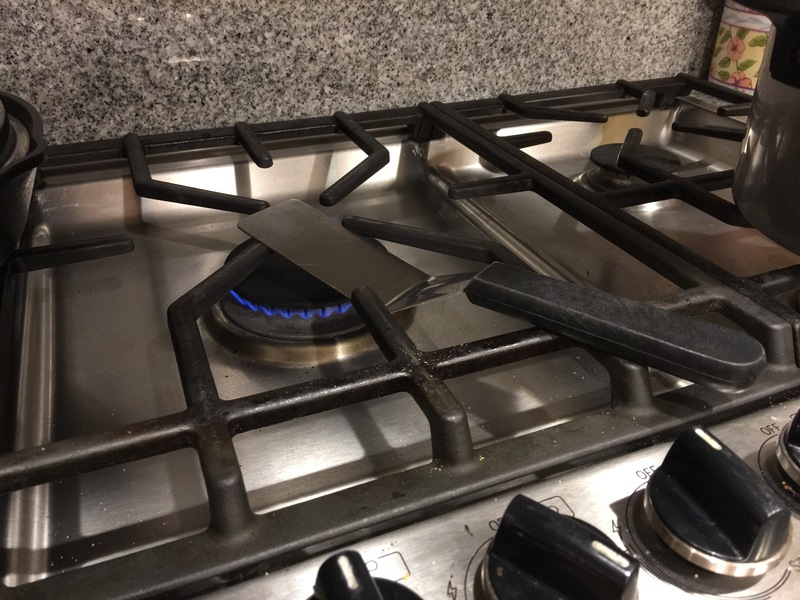 While the mixture is in the oven, heat your metal spatula on the stove. This will help prevent stickage (is that a word?) when you mix your ingredients. Get ready…*Everything is hot! * And all the mixing steps happen quickly. 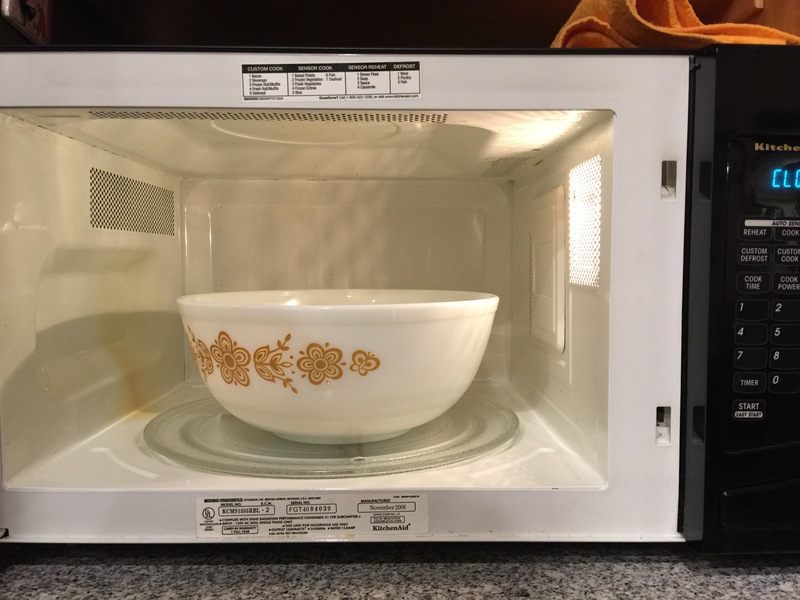 Remove the bowl from the microwave. Using the heated spatula, quickly incorporate peanuts into the microwaved mixture and return to the microwave for ~4 minutes. Remove the baking sheet from the oven and remove the bowl from the microwave. Add the vanilla/butter/baking soda mixture and mix. Again, quickly! Carefully (but quickly!) pour the mixture onto the pan; scrape as necessary. Shake the pan and/or use the spatula to evenly spread the mixture. Chill in the refrigerator for 20 minutes. Once cooled, crack and enjoy! You can make the pieces as big or as small as you wish. Favorite thing to “bake” in the microwave. Go!